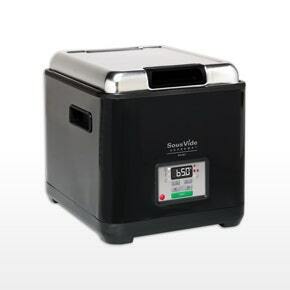 Sous Vide Equipment from Manufacturers Foodtek™ (Italy), Vac-Star® (Switzerland) and SousVide Supreme™ allows controlled cooking at consistent precise temperatures, providing perfect results time after time. 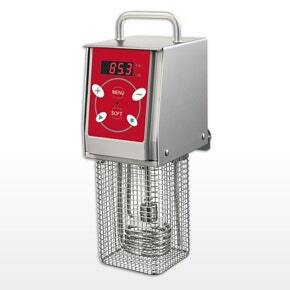 Foodtek™ Sous Vide models are designed for the full commercial environment and includes a circulating pump that ensures a stable and consistent water temperature and heat distribution throughout the bath, removing any potential cold or hot spots that come with an unstirred water bath. The Vac-Star® range includes a Thermal Circulator and a range of compact Sous Vide Water Baths for the professional kitchen. All models come complete with simple to use controls, are easy to clean, providing peace of mind in any busy kitchen. The SousVide Supreme™ is an amazing new all-in-one sous vide water oven designed to bring the sous vide culinary technique into home kitchens at an affordable price (+more). Take classic cooking techniques to new heights and directions with our range of thermal circulators. Our high-quality machines from Foodtek™ and Vac-Star® make cooking the most delicate items easy and fool-proof (+more). 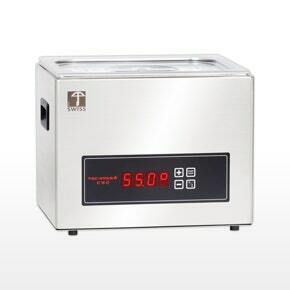 Our range of commercial sous vide water baths from manufacturers Foodtek™ and Vac-Star® allows controlled cooking at consistent precise temperatures, providing perfect results time after time (+more).